Another rare tee for you collection is available. 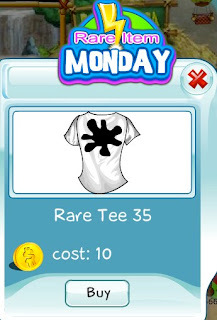 This week's tee has a black ink splatter (or at least that's what it looks like to me) on it. It's available today only and will be gone soon.